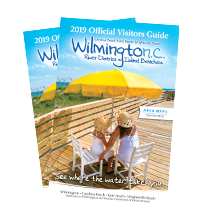 By day, Wilmington, North Carolina is a quaint historic city nestled upon the eastern shore of the Cape Fear River. The original southern port was settled in the early 1700’s and many of the city’s historic homes, buildings and secondary structures survive today. In fact at over 230 blocks, Wilmington boasts one of the largest National Register Historic Districts in North Carolina. But as the sun settles below the horizon and night envelopes the historic district, Wilmington is transformed into one of the most haunted cities in the South. Wilmington’s history is replete with acts of violence; ravaging epidemics, raging infernos, wartime occupations, slavery and the general savagery of life in a port city populated by drunken sailors, unsavory rogues and more than a few lunatics. It is this abundance of suffering, misery and death that cause so much of Wilmington to be actively haunted. 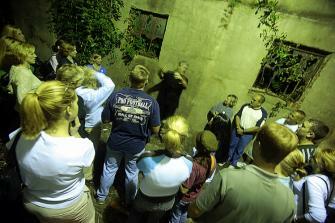 Some of these local ghost stories can be found in the books, Ghosts of Old Wilmington, and Legends of Old Wilmington and Cape Fear, and many more are available for the telling on the year-round Ghost Walk of Old Wilmington, and the Haunted Pub Crawl. 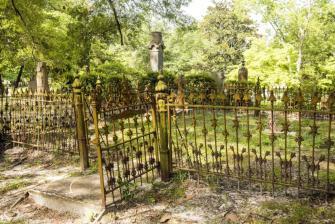 But Wilmington’s haunted history isn’t a shameful aversion, rather it is embraced and celebrated. This is why dozens of additional haunted attractions throughout the Cape Fear region arise during the month of October, including paranormal historic home tours, haunted trails, family-friendly festivals and more. Lest you misconstrue our haunted history is strictly limited to people, there are plenty of animal souls that still linger in various homes, backyards, alleyways and churchyards. These include family cats, stray dogs, loyal horses and even a runaway elephant. One couple, who live in a home that they once operated as a local bed-and-breakfast inn, love to share their story of a feline spirit. When guests would arrive for check-in, the two living house cats, one black and one white, would greet all newcomers, until, as cats are wont to do, they would grow bored and simply amble away. After check-in the guests would then ascend the stairs to their room. It was on the second floor they would usually encounter the third cat. This third cat was always described as a tabby cat, seen either sitting on the floor some distance down the hallway from their room, or if their room was at the end of the hallway, upstairs at the top landing of the third floor. The guests would invariably stoop, chitter and rub their fingertips together, trying to draw in this tabby cat, but the cat would just sit there, slowly and methodically swiping its tail back and forth, licking its long slender paws. Guests would assume it was just skittish and move on to their room. It was typically later when the guests would gather for dinner that someone would inquire about this third cat. Rather than try to explain to their guests they had actually encountered some metaphysical detritus, that there was no third cat in their home, at least a tangible, living cat, the couple concocted a story of an adopted cat, shy and afraid of all newcomers. Alas, they would explain, the cat will never approach guests. And then to themselves the owners would think it was lucky the cat didn’t approach, for if anyone ever really knew it was but an apparition, they’d never sleep in an old bed-and-breakfast again! So remember, Wilmington is a quaint city on the banks of the Cape Fear River. The city is rich in history, but some of it is dark and menacing. Beneath the cryptic arms of outstretched live oaks dripping with Spanish moss, spiritual debris still lingers. Occasionally you may encounter a spirit or two. If you do, remember, it’s okay to run. 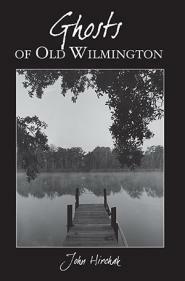 John Hirchak is the author of Ghosts of Old Wilmington, and Legends of Old Wilmington and Cape Fear. 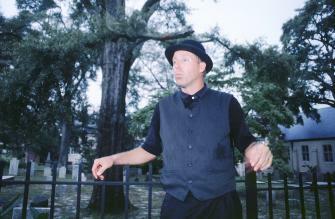 John and his wife, Kim, have owned and operated the award-winning Ghost Walk of Old Wilmington, the Hollywood Location Walk, and the Haunted Pub Crawl since 1999. They also own and operate the Black Cat Shoppe in historic Wilmington, and a second store in historic New Bern. The Hirchaks have been researching local ghost lore since 1978.